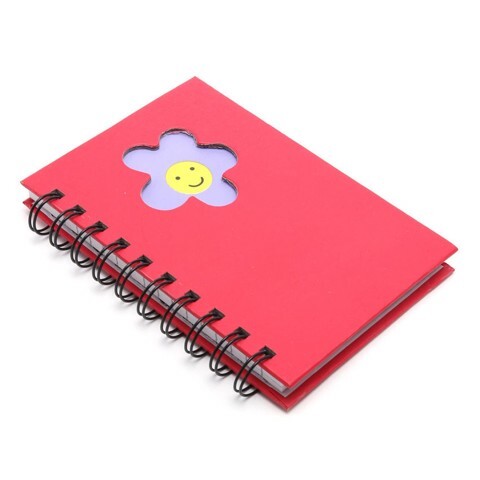 Note Book Hardcover Designs A6. 15 x 10.6cm x 11mm Thick. 4 x Die Cut Designs: Hello on Coral or Yellow | Moustache on Blue or White. 60gsm Paper | 1.5mm Gauge Metal | Spiral 18mm Diam. 128G Packaging: Bulk Pack.